You must have ants in various places. A long trail of ants which moves on the pavement, on slab, above food containers and on other objects and places can bacome aggresive and sting you in all places. Seeing ants moving on the top of the lid of your food container or seeing ants eating the foods inside the food containers gives a feeling of disgust. Another common sight is to see ants on the sticky and greasy areas. Also, you are bound to see ants on food items made up of sugar. Whether it is a sugary syrup, jam, or sweet-related items, ants will attack on those food items in the first place. Ant mounds are another common sight which imply you of ants existence in your zone. 165. The small heaps of soil which you see in your garden or on the gallery represent ant mounds. Ant mounds are the nests of ants. Deep beneath soil, ants make their nests. When population of ants increases in large number, you would see ant mounds all over your interior and exterior locations. If you try to break those mounds, then you will be likely to be bitten by ants. Keep yourself safe from ant stings by not letting ants make mounds in your zone. We at ants control Perth are there to send our ant experts at your destination to exclude ants and ant mounds properly from every corner of your place. Which ant species invade your space? A wide variety of ants can be spotted all over in Perth. It is essential for all house owners to know which ant species have accessed your house. 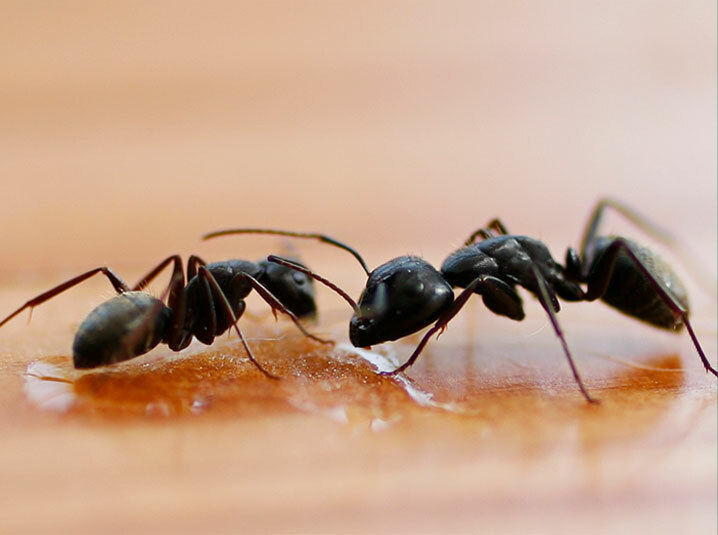 Get to know details on coastal brown ants, white-footed ants, black house ants, fire ants, argentine ants, pharaoh’s ants, ghost ants, black garden ants and pavement ants from our pest specialists. * Water leaks in your house will bring ants in your house. As ants prefer to stay in moisture-based locations, all leaky areas should be fixed. * Keep your kitchen and eating zones clean to keep ants away. Dirty dishes should not be left overnight in the sink of the kitchen. * Make sure to keep debris off from your interior and exterior zones. * Foods which attract ants should be kept in a tightly sealed container. As you implement effective management tips to keep the stinging insects away, you should implement ant-targeted treatments from our trusted pest officers. The recurring use of ant treatment Perth will prove to be extremely effectual in controlling the population of ants in your existing zone. The use of ant gels, ant baits, surface sprays and ant dust treatments are included in ant treatment plans which will destroy the foraging sites of ants. All ant treatments can be obtained at a cost-effective rate from our pest agency.